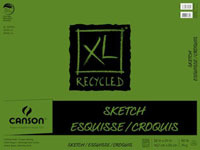 This heavy 65 lb (96 gsm) weight, acid-free paper is well suited for pencil, charcoal, pen, and light wash. It's manufactured from French made Crobart paper to near drawing quality standards. All 100-sheet pads are bound on the long side with a double wire. All pads contain micro perforated true size sheets. The 65% rag paper in these pads is ideal for hard and soft pastel, pencil, charcoal, colored pencil and gouache work. 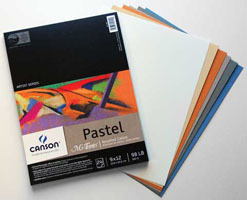 Twenty-four colored sheets per pad in a variety of popular tones. 24 sheets per pad. Also available with 24 sheets of Black Pastel paper, 9x12 size only. 80 lb. sheets are micro-perforated for clean tears, and stand up well to constant erasing. This high performance, heavy-weight 150 lb. specialty paper allows application of ink and colors without feathering, bleeding and damaging the paper surface. Specifically designed for markers, colored pencils, pen and ink. Each wire-bound pad contains 15 sheets. Media Applications: markers, colored pencils, pen and ink. Acid-free, 150 lb. 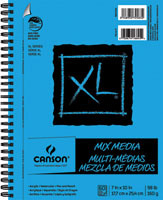 heavy-weight paper, ideal for drawing comic strips like a pro. Sheets are extra white for color contrast and have pre-printed non-repro blue lines to assist with art layout. The paper has a smooth texture that is ideal for scanning, is extremely resistant to scraping and holds up well with abrasive erasing. Sheets are industry-standard sized 5" x 17". Instructions on how to draw comics are also included. Made of Fanboy 150 lb. heavy-weight paper, these 2-1/2" x 3-1/2" cards feature industry standard non-repro blue grid lines, making them great for mini comic and Manga artwork. The paper is acid-free, with a smooth vellum finish that will not bleed or feather, and is suitable for pencil, ink and marker. Each pack includes 20 cards, 20 protective sleeves and instructions on how to get started drawing Manga. These industry standard sheets with non-repro blue grid lines are acid-free, extra white for excellent color contrast and contain no optical brighteners. The paper has a smooth texture that is ideal for scanning, is extremely resistant to scraping and holds up well with abrasive erasing. Instructions for getting started are included on the inside cover of the package. 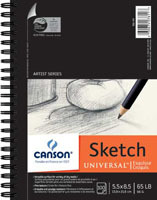 Great for pencil, ink and marker, these 150 lb. drawing sheets measure 11" x 17". This pad features 20 sheets of 150 lb. 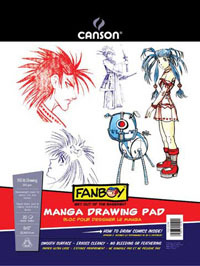 drawing paper for novices and established Manga artists. The acid-free, heavy-weight paper has a smooth texture that doesn’t allow bleeding or feathering, and holds up well with abrasive erasing. 9" x 12". 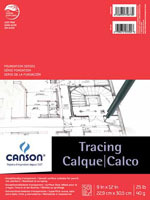 Double wire bound for stability, with heavy-weight chipboard back and micro-perforated sheets. These creamy medium tooth 90 lb. sheets are good for charcoal, pastel, pencil or pen. 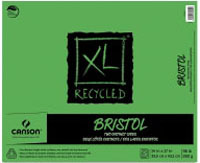 Manufactured using environmentally friendly, sustainable processes these recycled drawing pads are made with 30% post-consumer waste. They feature heavy-weight, micro-perforated 70lb. sheets designed to appeal to students. The sheet surface provides for superior blending and erasing capabilities.